A matter of special magnificence. Soooooooo. I've been wanting to do a blog party for a while now... And now, I am happy to announce, that I will be!! November 29 is C. S. Lewis' birthday, and since I have been so touched by his work.. 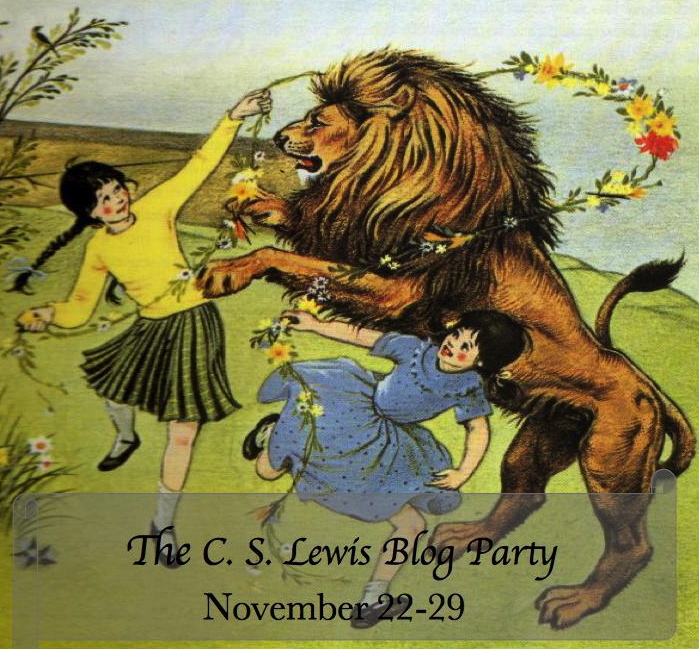 I decided that I would do a whole weeklong party to celebrate and honor the life and work of C. S. Lewis. So, the details. The party will begin on November 22, and will end November 29, on C. S. Lewis' birthday. The week will be filled with all sorts of Narnia and C. S. Lewis related posts, and I would love if you joined in! I know everybody is so busy with school.. But I know many of you also love C. S. Lewis, so it would be cool if a bunch of people participated! Please grab the above button, and display it on your blog, to help spread the word. Anywho, I have stuff to do, so till then! Oh it will be! I can't wait! Not a problem, I totally understand! Um, YES! AND YES AGAIN! A C. S. Lewis party? I think yes. Yay! I'm glad your as excited as I am... It will be great! Awesome! I can't wait to see what you come up with!